The LGP file suffix is associated with computer games Final Fantasy VII and VIII. File contains game data. Final Fantasy VIII is role playing game based on popular Final Fantasy series. It was developed for Sony Playstation and Microsoft Windows - based computers. Final Fantasy VIII is a departure from many traditional standards of the Final Fantasy series. It is the first game in the series to consistently use realistically proportioned characters, the first to feature a vocal piece as its theme music, and one of the only titles to deviate from the series' traditional means of increasing a character's power. and possible program actions that can be done with the file: like open lgp file, edit lgp file, convert lgp file, view lgp file, play lgp file etc. (if exist software for corresponding action in File-Extensions.org's database). 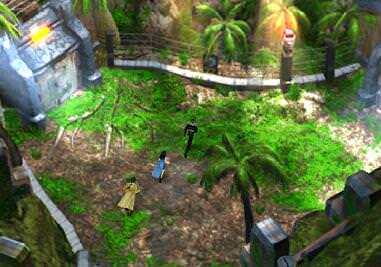 Click on the software link for more information about Final Fantasy VIII. Final Fantasy VIII uses lgp file type for its internal purposes and/or also by different way than common edit or open file actions (eg. to install/execute/support an application itself, to store application or user data, configure program etc. ).